Posted by maria on December 1, 2015; This entry is filed under SYRIA. 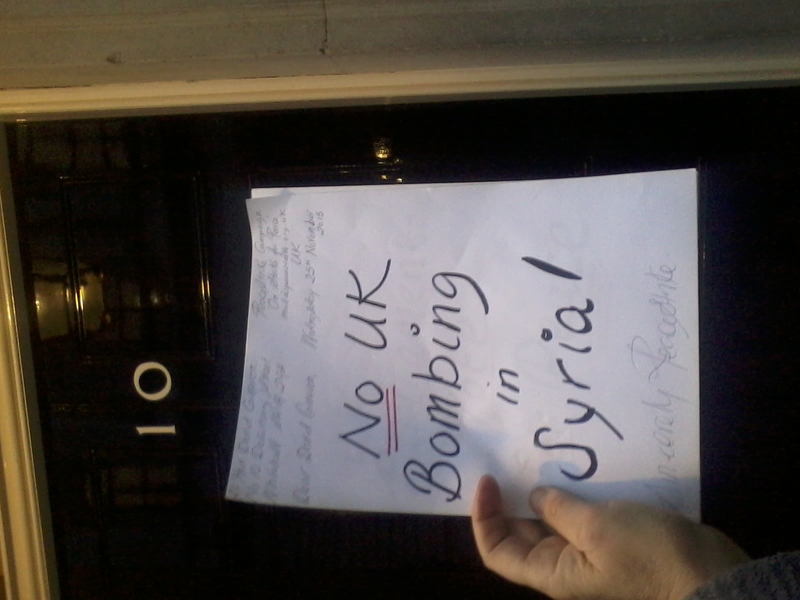 NO UK BOMBING IN SYRIA please. I am human being and believe in humanity. I deplore both terror and jingoism,the latter being more deadly. If their target are terrorists in those countries, go there and have a ground fight, which I favour, to finish them,rather than bombing the whole area which causes civilian destruction which I protest. What sort of bravery they are showing by bombing weak Muslim nations only? Can they do it in China, Russia or India? Let them do it there and see what happens,if they are so brave. Why are they labeling counter attacks from the affected countries as Islamic terrorism where as the war zone has only 5 % Muslim population? 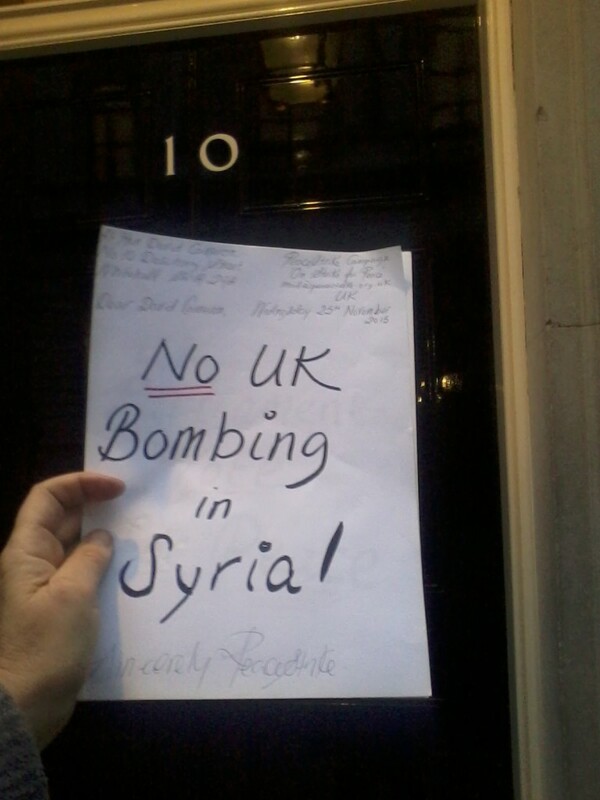 Is just to justify their wars and divert the world’s attention from the original intention of oil and arms trade? Killing millions and rendering more million homeless okay. A few hundred killed in counter attacks is an attack on whole humanity.No candles,no flowers or peace march, no tears for helpless and poor millions. If Pope can influence the warring nations to accept the refugees at the sight of Alan Kurdi,why did he not appeal them to stop wars? If he is a great humanitarian,why he is silent to genocides? If your peace strike organisation is ineffective to cast any influence on the warring countries, does that show the general public is indifferent to the wars but highly sensitive to the counter terror attacks?If it is so, then all Christians are too terrorists the way all Muslims are labelled. Only difference is that the media favours the former. Please stop wars and let people in other countries manage their own affairs the way they did not intefere in your countries prior to wars.